Tokyo Marui HK 416D was chosen as the best airsoft gun for 2016! Next Generation is the best what you can take - great quality, durability and look. 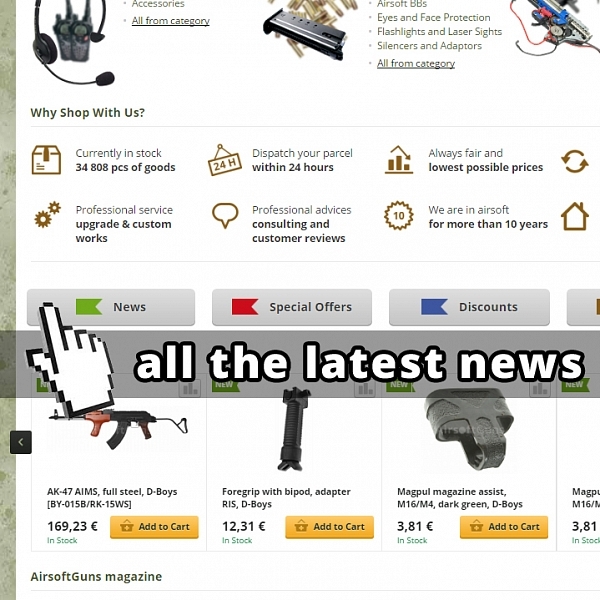 New models of GBB pistols and rifles in our store - cheap full metal guns. The hardest possible springs for airsoft AEG and sniper rifles - power more than 755 FPS! What next? Best Japanese bearings from AirsoftGuns Custom Parts.